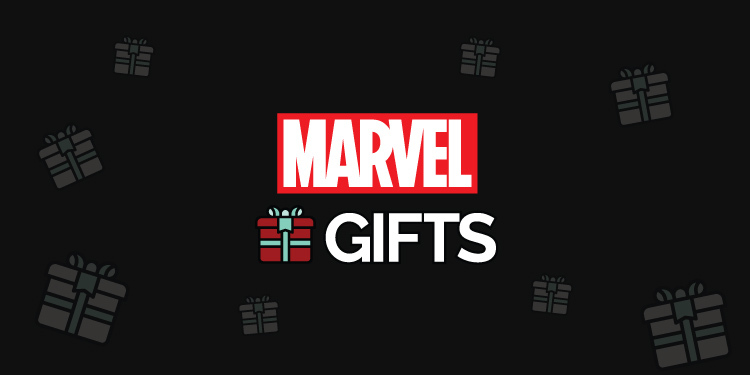 Whether it’s a superhero poster or a Marvel t-shirt, we’ve hand-picked the best Marvel gifts out there! 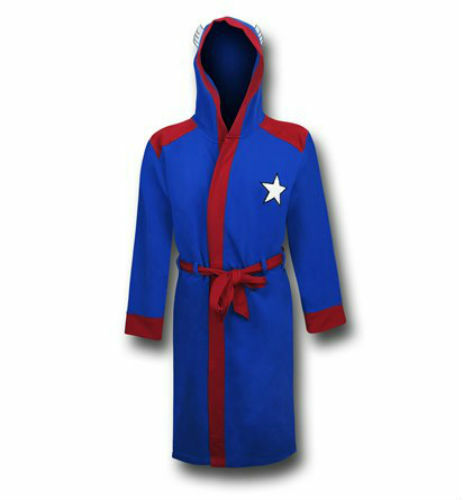 Please the hero in you by splurging a little on this Captain America hooded robe. You’ll be well prepared to save the day, even when you’re relaxed, ready for bed. Think of your usual game of Monopoly – but with a superhero twist! Instead of buying locations, save them! Rather than cash, you collect power-ups! Choose which Avenger you’re going to use and use your best superhero skills to win the game! Ideal for the competitive Marvel fan in your life! That’s right – you can show off your support for the ultimate Marvel movie by donning this badass hat. Embedded with the Avengers’ symbol over an image of Thanos’ Infinity Gauntlet, there’s no doubt any recipient will treasure this gift for life. Let your favourite superheroes save your travels by using this stylish suitcase. The trolly suitcase is designed with images pulled from straight from classic comic-books. Listening to music will be even better when you’ve got these Captain America headphones! You’re bound to turn heads as you listen to your favourite tunes. It’s a present that will put a smile on any boyfriend’s face! Do you know more about the MCU than your rivals? Test your superhero knowledge against your friends with this trivia box card game. Guarantees a fun-filled night! Claim yourself an official die-hard fan by owning, and of course reading this encyclopedia. Step into the Marvel universe and bury yourself in all the little-known facts, illustrations and details about your favorite characters and even superheroes who don’t have their own movie yet! Marvel merchandise to put a smile on anyone’s face! These awesome retro pint glasses are a great addition to any kitchen cabinet. Say “cheers” with Captain America, Thor, Iron-Man and Hulk! It doesn’t get cooler than this! A waffle maker that bakes waffles in the shape of Captain America’s famous shield! If you know someone that has a thing for Cap and loves waffles, you know what to treat them to! If you’ve got expensive taste and you’re also a die-hard Marvel fan, it’s time to get your fingers on this ultimate item. You can finally own your very own version of the Infinity Stone by wearing this super-cool ring! Thanos would certainly approve! Sprinkle some of Spider-Man or Thor’s superpowers onto your food with these cool salt and pepper shakers. Once you’re done, magnet them back together and place them as a display on your kitchen counter! There’s no denying that Goose was the highlight of Captain Marvel! If you also adored this fickle alien-infested feline, add this Funko Pop figure to your basket! Anyone who watched the movie was crying tears of laughter thanks to this freaky kitty! Any recipient of this gift would have reached the ultimate level of cool as they sip out of this mug. As soon as the mug is filled with something hot, T’Challa’s infamous Black Panther headpiece appears! Become the proud owner of a unique Avengers Wall Art set! All Marvel fans should decorate their walls with these 4 powerful photos of their favorite heroes. Purchase this snapback as a gift to yourself or a loved one. Featuring the iconic Marvel logo, this black and red snapback cap will complete any outfit from 0-100 real quick. Whatever you drink out of this mug will definitely make you stronger! This Hulk ceramic character mug will turn heads, especially if you take it to work with you! Pin up this fun, pop-art Avengers Superhero poster to add some energy to your room. The retro and minimalistic look makes it an appealing addition to any game room or bedroom! Iron Man fans will be blown away by this stunning Iron Man figure. This model of the armored Avenger stands 8 inches tall. Its armor design has fine detail that almost brings the Marvel figure to life. 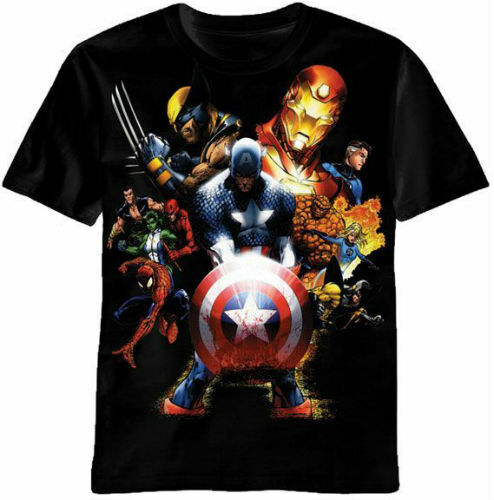 Assemble all of your favorite Avengers together with this awesome t-shirt dedicated to the best movie. Illustrating powerful heroes including Captain America, Black Panther, Groot and even Dr. Strange, this apparel item is the ultimate outfit choice! This Marvel gift idea is well-worth it, especially for Thor: Ragnarok fans! The bobble head action figure is one out of many superhero models that need collecting. Make sure this little man is sitting on your shelf or even your work desk! Nothing screams “I’m a Marvel fan” more than this t-shirt does. It features cool graphics of your favourite heroes including Captain America, Iron Man and Wolverine! Wrap up and stay warm in this soft, comfy, super-hero-packed blanket. It’s ideal especially for when you’re having a MCU movie marathon! Marvel-inspired merch never felt so comfy and warm! 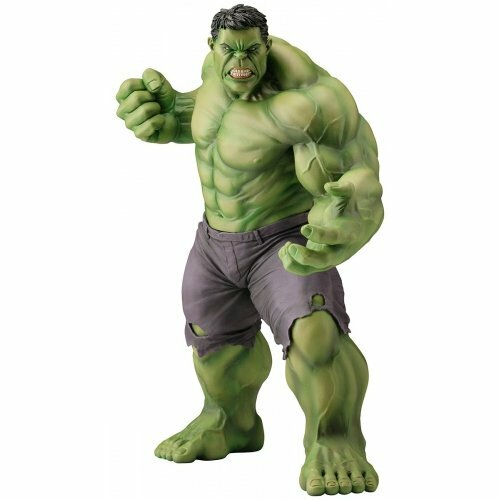 Start a brand new collection with this Marvel-ous Hulk figure. Sculpted to look similar to the green giant, this figure guarantees to look brilliant on your home shelf. If you’re a fan of Cap, then this necklace should be yours. Feel well-protected with his shield hanging from your neck and don’t forget to seize the day, just like Captain would! Let the likes of Spider-Man and Hulk keep your money safe with this classic wallet. No one will keep a stronger grip on your cash more than a Marvel hero! Once you’ve finished your Marvel movie marathon, why not start coloring in your favorite superheroes? 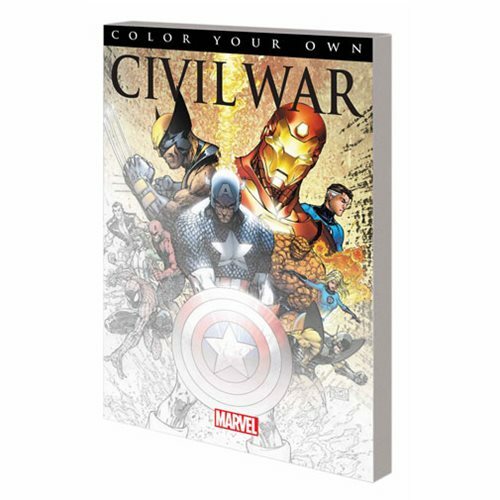 This Civil War adult coloring book is a great, therapeutic way to let you charge your superpowers. Every comic-book fan should be sipping a warm drink from this superhero mug that’s got the faces of much loved heroes imprinted on it. Who said your speakers have to be boring?! Let your favorite songs boom out of this awesome Thor hammer speaker using Bluetooth from any device including smartphones and tablets. What’s cooler? The speaker lights up with the music! 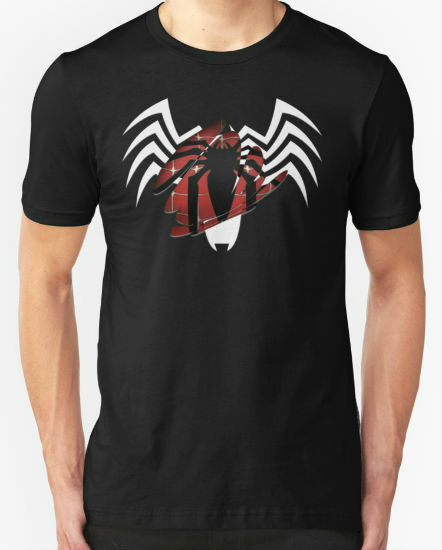 This is a t-shirt highly recommended for anyone who loves Spider-Man. Tell the world that your a dedicated Peter Parker fan, wear it, feel powerful and get ready to save the day. If lean more towards Marvel’s bad side, you can let it be known by owning this bi-fold wallet dedicated solely to the one and only Thanos. Featuring miniature versions of the Infinity Stone, this gift is bound to bring you substantial power. Know someone who cherishes Captain America? Are you one of his avid followers? Spend a little on this hoodie dedicated solely to Marvel’s first Avenger…. Ever wondered why the Hulk comes in three different colors of green, gray and red? Want to know how a frog once gained Thor’s powers? This book will literally give you Everything You Need to Know! Filled with endless pages of trivia, fun facts and illustrations of the classic heroes, This 235 page book will be treasured by all comic-book fans! Need a Christmas sweater this year? Why not make it a Marvel one? This warm and wonderful sweater has some of your favorite heroes’ logos imprinted on it, making it an awesome addition to your wardrobe! Sip in style with this awesome ceramic mug and let the powers of your favorite superhero, Iron Man keep your coffee or tea warm. Don’t go on an adventure without your favourite super-heroes! Keep your belongings in a bag that’s ideal for all Marvel fanatics and carry the faces of these iconic characters everywhere you go. Attach Thanos’ Infinity Gauntlet to your set of keys and uncover ultimate superpowers you never knew you had. This item makes a great present for any fan of the latest blockbuster movie! There’s nothing a fan deserves more than this superb comic book collector starter set. 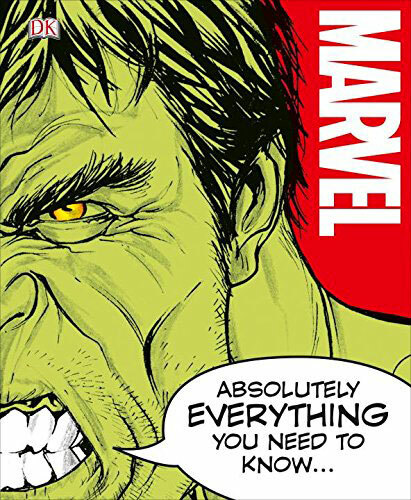 Featuring a selection of 25 Comic Books from Marvel, DC, and other various publishers, this collection is undoubtedly worth a buy. This awesome Spiderman ceramic cookie jar would look great on your kitchen counter. Fill it up with all your favorite cookies and never let yourself or Spidey go hungry! Even the small things are appreciated by Marvel fans! This Funko Pocket POP Iron Man keychain is perfect for those who obsess over the superhero. Who wouldn’t want their favourite character hanging from their car keys? Get hold of this mega-cool Captain America fidget spinner! When you’ve got nothing better to do, start fidgeting and spinning with this metal toy that’s the latest craze among youngsters! Buy this wallet for a collector of all things Deadpool. It’s so cool, we think even Mr Wilson would use it to store his coins! 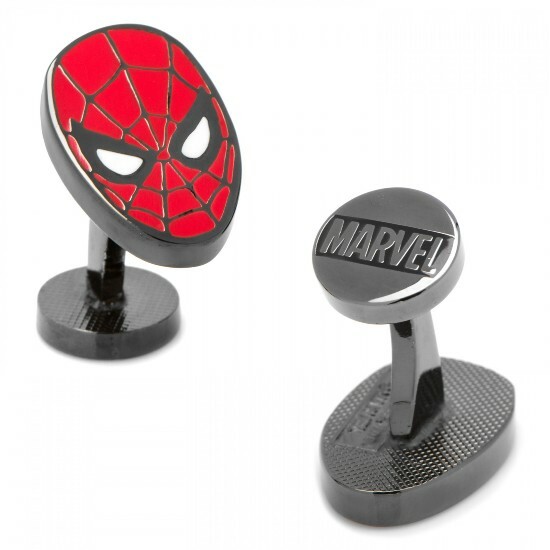 Want to add some Marvel-ous décor to your home or bedroom? This Iron Man cushion makes the perfect addition. Super-comfy to lie on, unlike Iron Man’s real head! Do you know a stylish superhero geek? Gift them with this super-cute charm bracelet that has all their favourite heroes hanging off it. Being a Marvel fan has never been so fashionable! Celebrate Thor with this dark and menacing t-shirt, made only for serious fans. Showing off the superhero in action during battle, this piece of clothing will make the ideal present for MCU fanatics. Looking for a gift to treat your girlfriend? If you know an Captain Marvel fan who likes to make a statement, treat them to this cute handbag. Shining and glistening like the superhero’s very own costume, this gift will compliment any fan’s outfit and have them feeling like Carol Danvers in no time! What a timeless gift! This watch dedicated to Cap is ideal for fans who love watching the Star-Spangled Avenger. What better way to count down the next Marvel movie with this awesome stainless steel watch?! Show off your super-hero loving side with this super-cute shirt featuring several of the greats. Throw on this sweater, and your fave heroes will assemble in no time! Test your knowledge of the Marvel Cinematic Universe with an ultimate game of Trivial Pursuit. Gather your friends and family together and take on questions about movies including Iron Man, The Incredible Hulk and Captain America! Who needs a Starbucks mug when you can have a Star-Lord one? This funny mug is ideal for GOTG fans with a sense of humor. Fill it up with coffee or tea and let everyone know who your fave Marvel character is. If Black Panther is your number one superhero, make sure to add his Funko Pop statue to your collection. This awesome figure is a great cartoonish representation of Wakanda’s warrior-king! Truly feel a part of the Marvel Universe and consider yourself a legitimate die-hard Marvel fan by purchasing some Marvel merchandise! Dare to turn to the DC side? Gift someone with one of our awesome Batman gifts for all Gotham geeks!